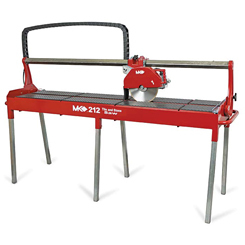 39.6" x 22.3" x 5.1"
17.5" x 16" x 7"
33" x 19" x 20"
40" x 21.5" x 48.3"
MK-100 TRACKER can cut an object three and one-half (3-1/2”) thick in one pass. 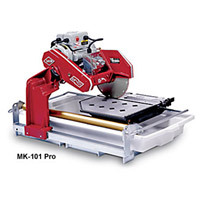 MK-100 TRACKER uses a 10” (254mm) diameter, wet cutting continuous rim, MK Diamond blade with a 1/16 inch” (15.875 mm) cutting width and a 5/8” inch (15.875 mm) arbor. 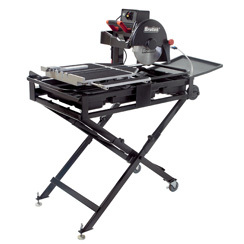 Can cut a variety of tile types including Porcelain, Terracotta, Marble, Quarry and Slate, or almost any other non-ferrous material. 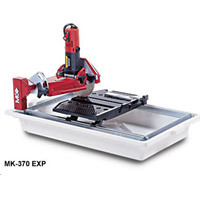 36" x 21.5" x 22.5"
Engineered for versatility, durability and precision cutting of tile & marble. 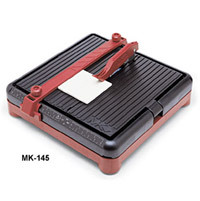 Fully enclosed fan-cooled high torque motor. 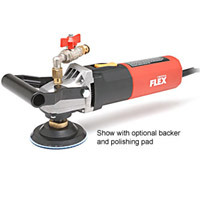 Permanently lubricated, dual-sealed, heavy-duty blade shaft bearings. 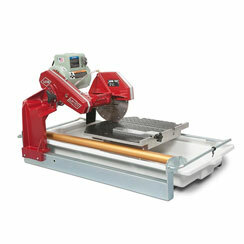 Two-position cutting head for operator convenience in cutting various tile sizes. 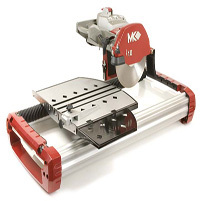 Chrome plated guide-bar & linear-bearing assembly ensures precise alignment & cutting. 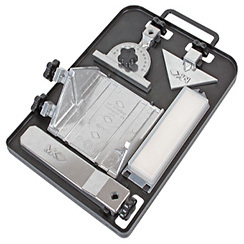 Cast-aluminum blade guard w. built-in water system supplies water to blade (both sides). 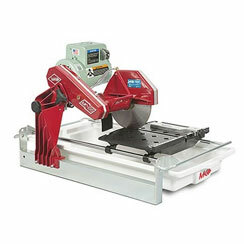 Variable height cutting head allows plunge cutting & use of blades smaller than 10" diam. 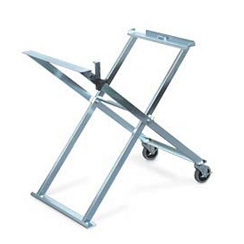 Blade guard accommodates 6" and 8"profile wheels. 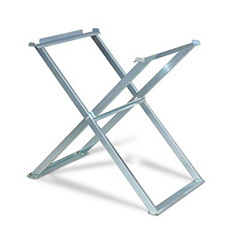 One-piece reinforced zinc-plated steel frame. 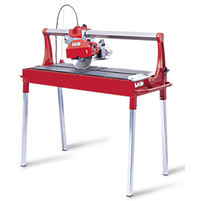 41" x 22" x 23"
58" x 20.5" x 52"